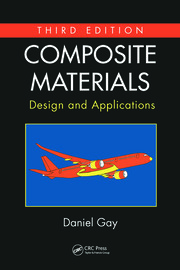 Principles of Composite Material Mechanics covers a unique blend of classical and contemporary mechanics of composites technologies. It presents analytical approaches ranging from the elementary mechanics of materials to more advanced elasticity and finite element numerical methods, discusses novel materials such as nanocomposites and hybrid multiscale composites, and examines the hygrothermal, viscoelastic, and dynamic behavior of composites. This fully revised and expanded Fourth Edition of the popular bestseller reflects the current state of the art, fresh insight gleaned from the author’s ongoing composites research, and pedagogical improvements based on feedback from students, colleagues, and the author’s own course notes. 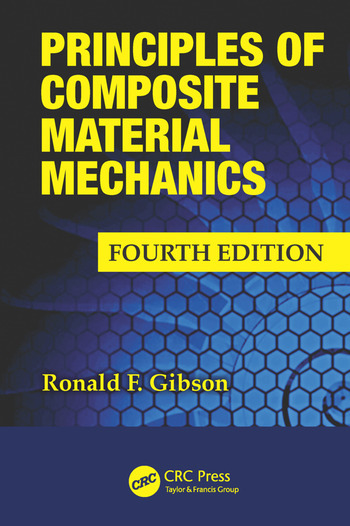 Principles of Composite Material Mechanics, Fourth Edition provides a solid foundation upon which students can begin work in composite materials science and engineering. A complete solutions manual is included with qualifying course adoption. "… provides not only an overview into manufacturing of composite materials that is reasonably understandable by students without going into extravagant detail, but also provides students with examples that are easy to follow such that they can complete the associated homework problems. The combination of both static and dynamic analysis of composites makes this text worth selecting for a senior- or graduate-level mechanical engineering course in the mechanics of composites." "Easy to read, with good examples. Well-laid-out theories. Very perfect for what I am teaching and perhaps for most of what composites faculty are teaching." "I like the approach of answering homework problems in the fourth edition, included in the back of the book. In particular, I have found all the necessary and relevant topics have been covered within the new edition, and the flow of the topics is appropriate. … This book is easy to understand, simple in approach, and student friendly, with worked-out problems and descriptions. Expanded coverage of the requirement for structural analysis of composite materials makes it more fruitful and interesting. … This book will continue to serve as a basic reference for newcomers to the area of composite materials as well as for experienced personnel." "… includes many new developments in the field of composite mechanics which deserve to be presented at a course to graduate students, and this new edition is particularly suitable to this kind of course. It adds a lot of new example problems and homework problems within the chapter sections." "Wonderful book! Easy to read and follow by professors and students." "The text has a very good introduction that takes its basis in the newest technologies and materials. Moreover, the text provides examples on the use of composite materials in modern products ranging from the civil engineering industry to space crafts. Furthermore, the text provides a thorough link between the courses taught in mechanics of materials and the approach to calculate laminates."